Mona guided her first trip to the BWCA in August of 1983. At that time, she was recent college graduate with limited resources and made do with gear and equipment that was available. Inspired by the peace and beauty of the BWCA, she vowed to return. And she did. In 2000 she established a small outfitting and guiding business, MSB Wilderness Adventures, which is focused at introducing the BWCA to city dwellers who seek a wilderness experience. 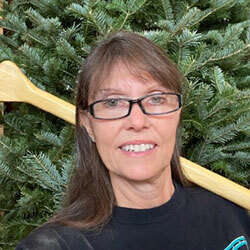 Today she carries the nickname of "Woodswoman" and has perfected more than just food preparation since that first trip. One thing that has not changed, the goal of each and every trip remains the same: appreciating the beauty and adventures found in the BWCA. The excitement of planning and preparing for a wilderness adventure can be enhanced by including your own dehydrated meals. Thirty years of BWCA food prep secrets will be shared along with basics on dehydrating food, complete meals, and types of dehydrators.